Bring your lunch and chat at our drop in lunch time session. Relaxed and informal, this is a great way to meet new people, share lunch with friends and see how you and your colleagues could support our work. Al Sylvester OBE, talks about team building, communications and leadership on his expeditions to the South Pole, Mount Everest base camp and his 881-mile unsupported walk from Land’s End to John O’Groats. 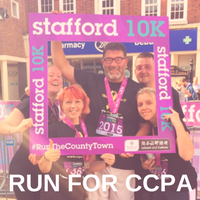 At CCPA we’re working hard to make our charity and fundraising eco-friendlier. That’s why we are promoting fundraising campaigns that aim to reduce, reuse and recycle everything from computer games to old bras! 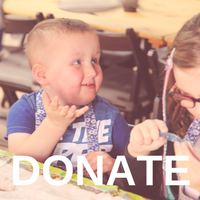 Families are at the heart of our charity and the work we undertake to support families whose children have cancer, both locally in Staffordshire and across the country. We are offering a packed day of family activities at our ‘pop-up’ shop – why not drop in and see us! 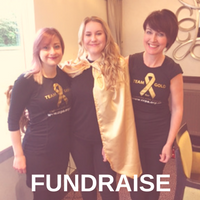 Our annual Gold Ribbon Ball is a time to celebrate; when guests join us for a fantastic evening of delicious food, entertainment, dancing, fundraising auctions, games and tombolas! CCPA will be hosting the Tea Tent at this two day food festival in Stafford Town Centre. 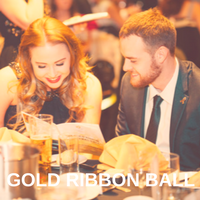 Capturing all the glitz and glamour of Hollywood’s Golden Years the Gold Ribbon Ball on Saturday 1 December 2018 at the Staffordshire County Showground is set to be a fabulous night out.